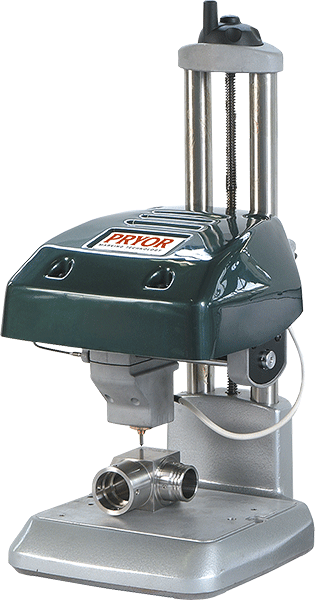 Pryor column mounted dot peen markers are highly-versatile and can be easily adapted to suit a wide variety of part configurations. The standard configuration consists of X, Y and Z axes, and a 4th circumferential axis is sometimes employed. 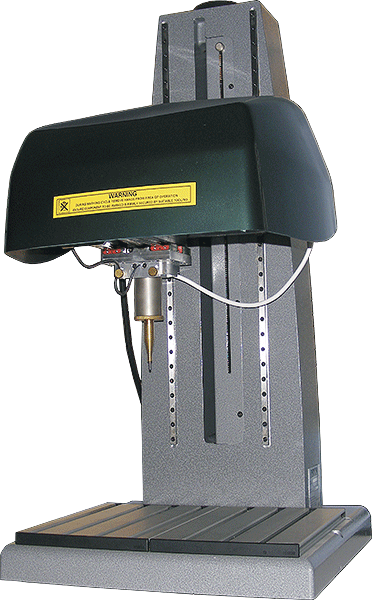 Stepper motor-driven X & Y axis and adjustable Z axis allows multiple height components to be marked. Programmable electric solenoid with nine depth settings. 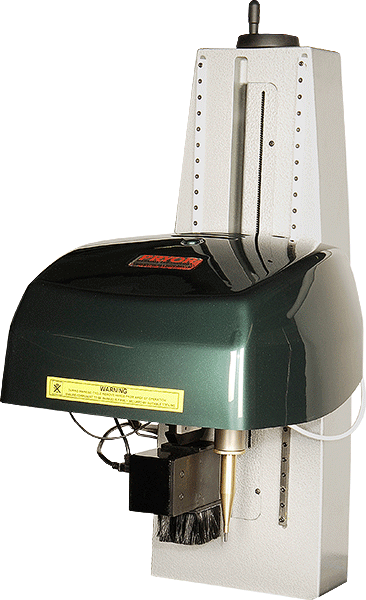 240v/110v single phase supply – no pneumatics required. Low running costs and virtually no consumable costs. Standard character sizes: 0.18 - 99.9 mm in increments of 0.18 mm. Marking formed: 5 x 7, 7 x 9, Varidot, HPGL, BMP Logos. Character formats and logos: 5 x 7, 7 x 9, Varidot, HPGL, BMP Logos. This style of dot peen marker is recommended when the marking window falls outside of the normal 1250 x 1030 mm area. They have all the standard and advanced options as the high volume / high throughput pin markers listed above.